mirror round up — Pencil & Paper Co. 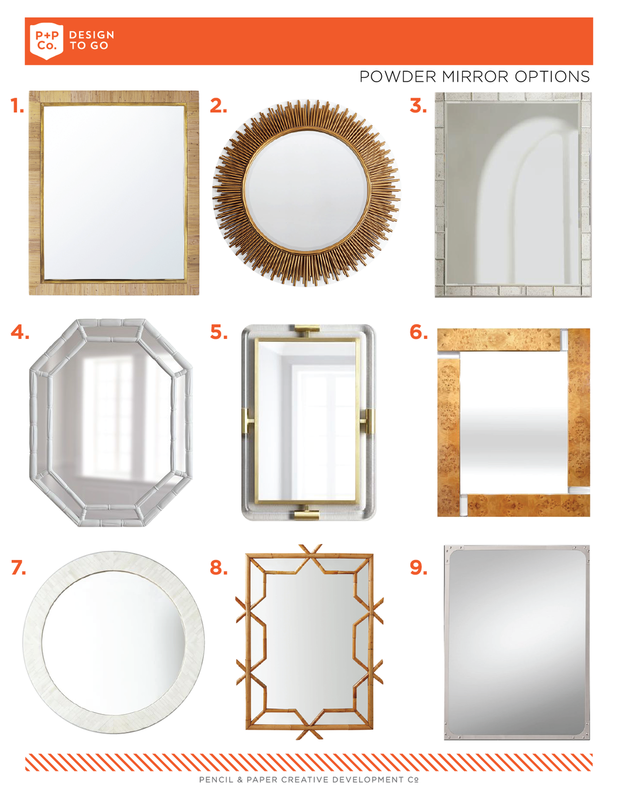 This week is filled with several "Design to Go" bathrooms...and lots of "hunting" for the perfect bathroom mirror! So we thought we would share the fruits of our labor with you! If you have a bathroom..... or any room that's in need of a little TLC, our "Design to Go" program is a super affordable and easy way for us to help you create your dream home, in town or out of state!